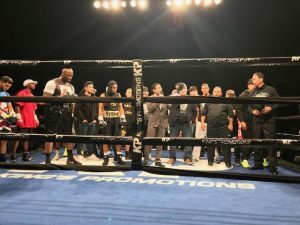 Mykal Fox remained perfect by winning an eight-round unanimous decision over Manuel Reyes in the main event of a King’s Promotions promoted card this this past Tuesday night at The Sands Bethlehem Event Center. The show was dedicated to former King’s Promotions Director of Operations Desmond Hammond, who passed away last week. Fox of Forestville, Maryland won by scores of 80-72, 79-73 and 78-74 to raise his mark to 15-0. Reyes of Los Angeles is now 11-4-1. 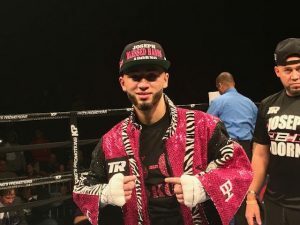 In the exciting co-feature, Victor Vazquez took an eight-round majority decision over previously undefeated Ricardo Garcia in lightweight bout. 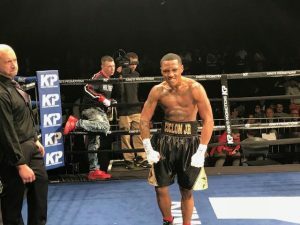 Vazquez scored a knockdown in round three, and two more in round eight to take the victory by scores of 77-72 twice and 75-75. Vazquez of Yonkers, NY is 9-3. Garcia of Santo Domingo, DR is 14-1. 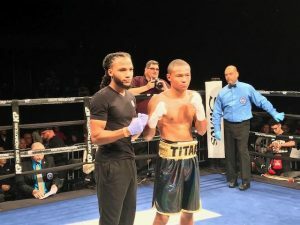 Joseph Adorno remained perfect by stopping Corben Page at 2:58 of round two of their scheduled four-round super featherweight bout. Adorno of Allentown, PA scored two knockdowns, and is now 5-0 with five knockouts. Page of Springfield, OR is 5-16-1. 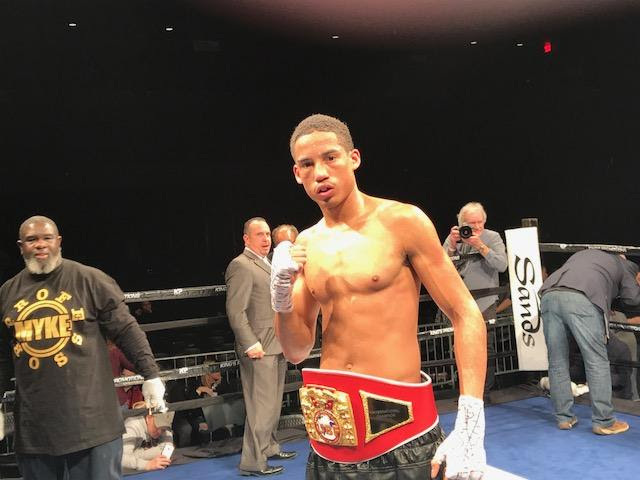 Juan Sanchez of Bethlehem, PA won a four-round unanimous decision over James Early in a featherweight contest. Sanchez won by scores of 39-37 on all cards and is now 4-0. Early of Seat Pleasant, MD is 2-2. 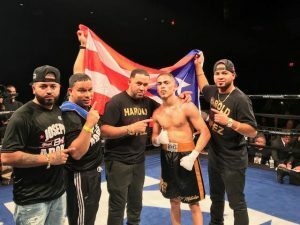 Harold Lopez won a four-round unanimous decision over Jerrod Miner in a battle of a undefeated light flyweights..
Lopez of Allentown, PA won by scores of 40-36 and 39-37 twice and is now 2-0-1. Miner of Philadelphia is 1-1. 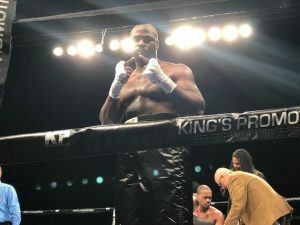 Michael Coffie made a successful pro debut with a first round stoppage over Ralph Alexander in a heavyweight bout. The bout lasted just sixty-one seconds for Coffie of Brooklyn, NY. Alexander of Lanham, MD is 0-2. 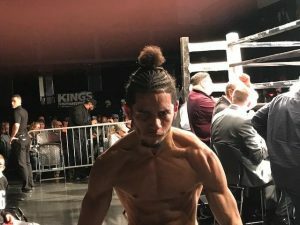 Hector Bayanilla dropped Jose Elizondo in round two en-route to a four round unanimous decision in a super bantamweight bout. Bayanilla of Allentown, PA won by scores of 40-35 and 39-36 twice and is now 2-0-1. Elizondo of San Antonio, TX is 2-4-1. 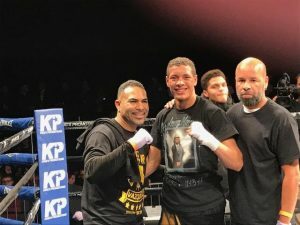 Martino Jules won a four-round majority decision over Weusi Johnson in a featherweight contest. Jules of Allentown, PA won by tallies of 40-36, 39-37 and 38-38 and he is now 1-1. Johnson of Wilmington, DE is 2-7.